Tortellini in brodo (meat tortellini in broth), tagliatelle al ragù (pasta with meat sauce), lasagne verdi alla bolognese (lasagna with meat sauce and béchamel), zuppa inglese (cake and cream), and mascarpone (particular type of soft cheese often used in desserts) are some of the many reasons why the city of Bologna attracts many tourists. Informally known as one of the culinary capitals of Italy, Bologna is home to one of the largest fruit and vegetable markets in Europe. Located in the middle of the city, Bologna’s market, the Mercato delle Erbe, is home to fresh cheeses, meats, vegetables, and baked goods. And its rich and varied local cuisine has earned it the nickname la Grassa (the fat lady). In addition to the its well known culinary patrimony, Bologna boasts medieval architecture, the oldest university in the world, and many beautiful porticoes. Perhaps less well known is the fact that Bologna has evidence of Jewish history dating back to the third and fourth century C.E. The Church father, Ambrose (c. 340-397), mentioned the Jews of Bologna in a speech he delivered in Florence in 393. The first thousand years of Jewish-Bolognese history is unfortunately shrouded in obscurity. According to the Jewish Virtual Library, the first direct evidence of Jewish presence in Bologna dates back to 1353, when a Roman banker by the name of Gaius Finzi moved to the city. Towards the end of the 14th century and into the early 15th century, more Jewish families settled in the city. Jews were obliged to wear an identifying badge issued by the bishop, and were strictly limited to working as bankers. As time progressed and Jewish migration increased, Jews began to play a significant role in the city’s economy, not only in loan banking, but also as merchants, and doctors. As in many other locations in Italy, ancient artifacts abound, and are often hidden in places that one may not expect. The discovery of new artifacts is a crucial step in exploring Italian-Jewish history. This is exactly what happened at the University of Bologna in 2013. 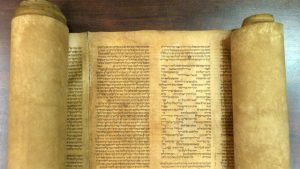 It was in one of the university’s libraries that Mauro Perani, professor of Hebrew at the University of Bologna discovered the world’s oldest complete Torah scroll. This Torah scroll is estimated to be over 800 years old and had been hiding in broad daylight. The library had incorrectly catalogued the scroll as dating from the 17th century; however, upon closer observation, Perani discovered that it likely dates back much further. Perani examined the scroll in detail to find that it does not reflect certain changes in Torah writing which occurred in the 12th century. Immediately, the professor suspected that the scroll must date back further than previously thought, because it includes specific letters and symbols that were proscribed by Maimonides, the highly influential 12th-century Jewish philosopher and commentator. Most surprising, perhaps, is the excellent condition of the Torah scroll. Although fragments of the Torah have been found dating from the 7th and 8th centuries, very few scrolls exist from prior to the 14th century. Perani claims that “this is the oldest complete one.” The discovery of an old Jewish text of this kind is particularly rare given that thousands of scrolls were destroyed by the Nazis during the German occupation of Italy in 1943-45. The Torah scroll was analyzed through carbon dating, proving that it was likely written between the years 1155 and 1225 C.E. This is an important observation for the Jewish-Italian community in Bologna because it attests to an ancient tradition in Bologna, and provides a tangible link to that distant history. Bologna is in fact full of Jewish history. It was home to eleven synagogues in the 16th century. On August 10, 1859, Jews were given full civil and political equality with all other citizens in Bologna. 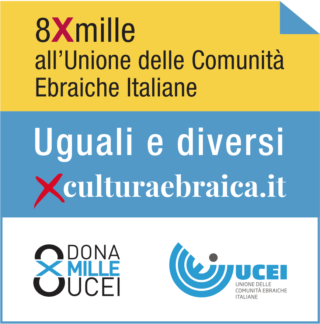 As a result, this emancipation led to an increase in the size of the Bolognese Jewish community. In the 20th century, following the Italian anti-Semitic laws (1938) and the occupation of Italy by Nazi Germany (1943-45), the number of Jews in the city declined drastically from the beginning of the 20th century – about 900 Jews – to the end of the 20th century, at which point the Bolognese community numbered about 230. Today, there are 200-300 Jews living in Bologna, in addition to Jewish students attending the university. What else may people able to find hiding in plain sight? The discovery in Italy of the world’s oldest complete Torah scroll suggests the possibility that there are other Jewish artifacts of great importance that may be waiting to be discovered around Bologna. Bologna is not just a city full of life, beauty, and delicious food, but is a city filled with hidden Jewish-Italian history. It is up to the Jewish population, educators, and scholars to discover what may be hidden in plain sight. *Cimring is a student at Muhlenberg College (Allentown, Pennsylvania, USA).